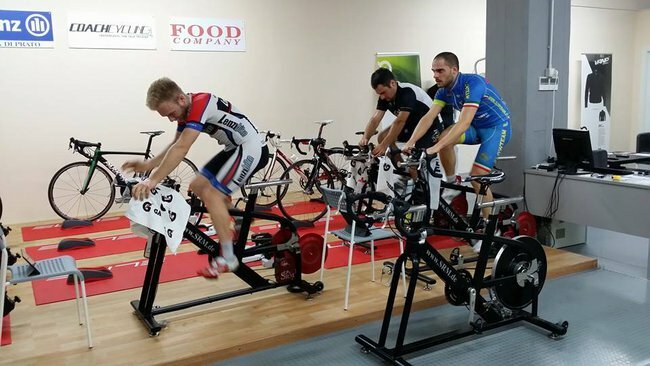 SRM Italia and Coach Cycling teamed up for their first Indoor Event of the 2015/2016 season. Cycle City, a full-service cycling destination, once again hosted the event which focused on maximizing the full potential of training with power in an indoor setting utilizing the full suite of SRM products. Athletes were given pre-workout instructions and followed real-time during the session by professional cycling trainer, Costantino Bogani, from Coach Cycling. At each point during the session, athletes were given specific goals and objectives, as well as shown how each effort will increase performance. 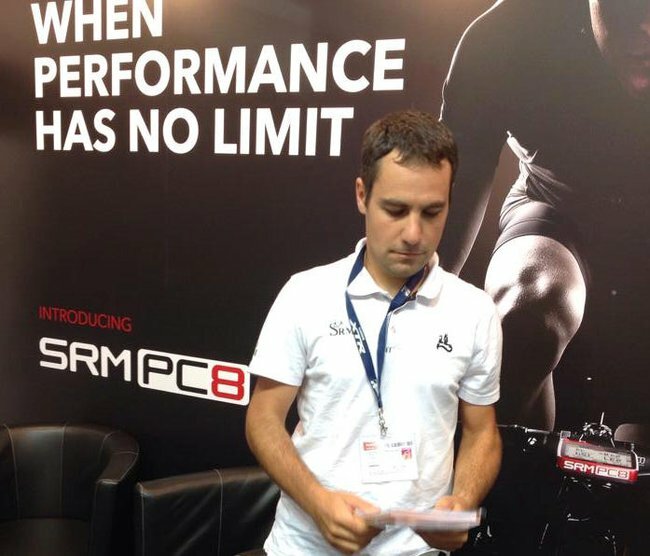 Simone Stilli, responsible for SRM Italia, was on hand with SRM hardware and software. Athletes were provided with precise instructions as well as explanation of the possibilities of training with power. 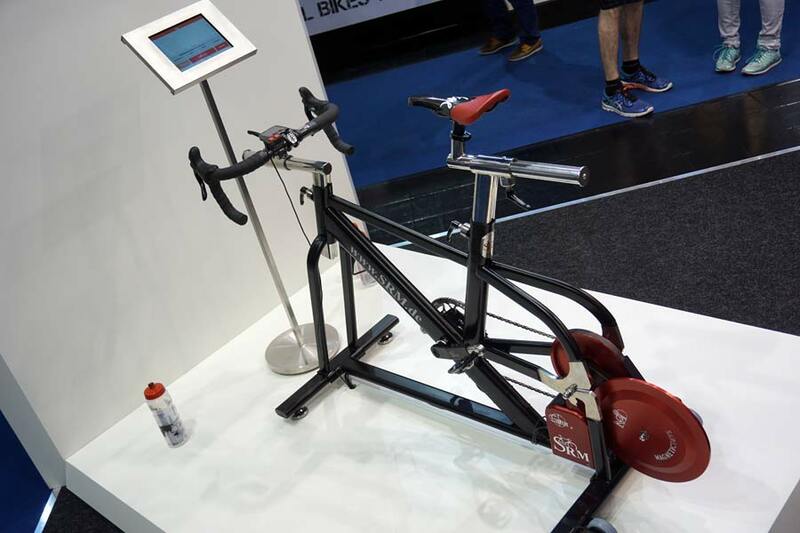 Participants were able to ride the SRM IndoorTrainer Electronic, or have an SRM PowerMeter installed on their personal bikes for use on a stationary trainer. 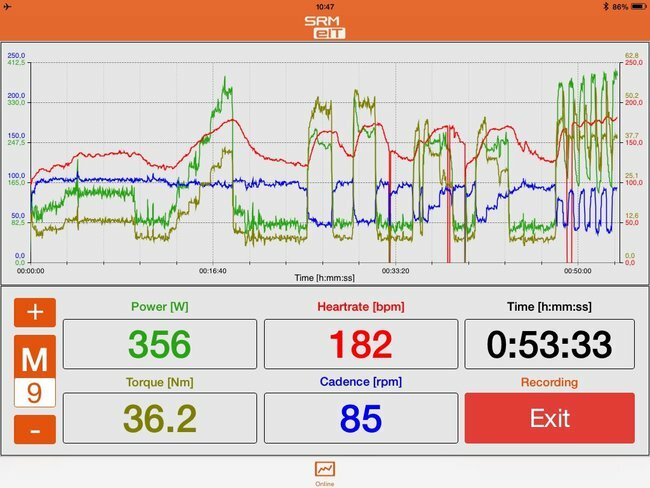 The indoor environment is the perfect setting for athletes beginning their relationship with power-based training to analyze power without the external distractions. Traffic, weather, altitude variation, and road quality are all factors that are eliminated, allowing the athlete to focus solely on the effort and the results. As always, Cycle City provided a world-class atmosphere for the event. Professional services as well as logistical and technical support meant that athletes had everything they needed for a great experience. The test day consisted of two guided sessions including a sequence of four structured training efforts. Rather than using a predetermined level for Watts, each athlete set their own sustainable level of intensity. Cool-down phase of 5 minutes. Each test was intended to highlight the most important benefits of power-based training. First, the athletes started with a warm-up effort, utilizing a continuous and uniform pace. This emphasizes two characteristics; first being the need to manage the effort to a specific output by continuously scanning data on the PowerControl, and second being gradual heart-rate increase, or drift, throughout the effort. After the warm-up, athletes started with the PRG test, meant to activate the muscles aerobically. 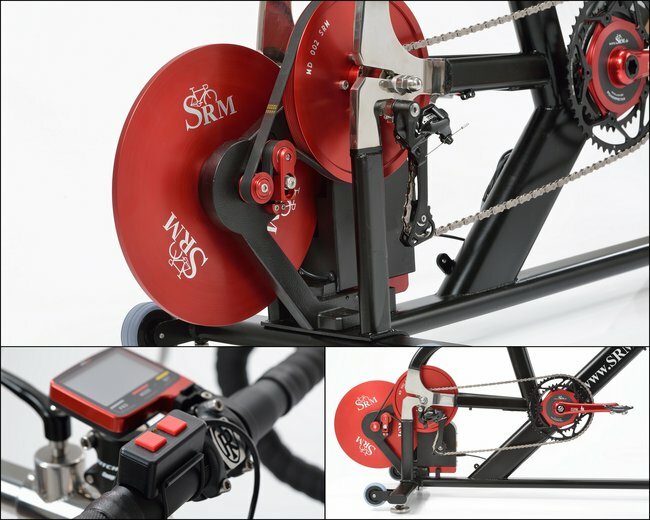 During this test, power is controlled by the electromagnetic brake of the SRM IndoorTrainer Electronic, while the athlete pedals a constant cadence. Throughout the 6 minute test, power is increased every minute. This ensures the resistance is added safely and brings the athlete just below Lactic Threshold. 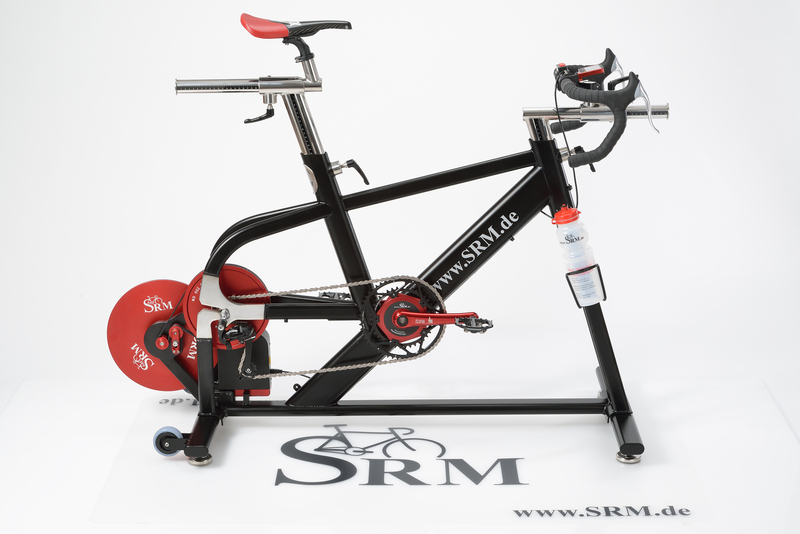 The second test was the SFR effort: this test was conducted at 45-50 rpm and kept muscular contractions at 700ms, which maintained that the athlete was above 75% of maximum force values. 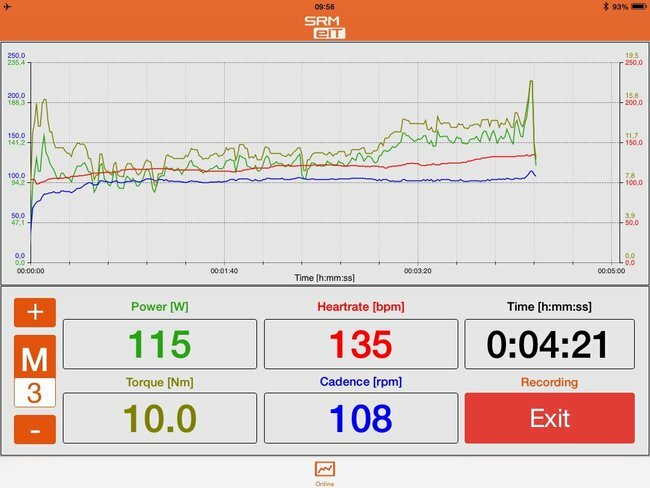 The athletes that conducted this test on the SRM IndoorTrainer Electronic were able to monitor this effort using the new SRM eIT app, which shows real-time torque values and how they are affected by power and cadence changes. 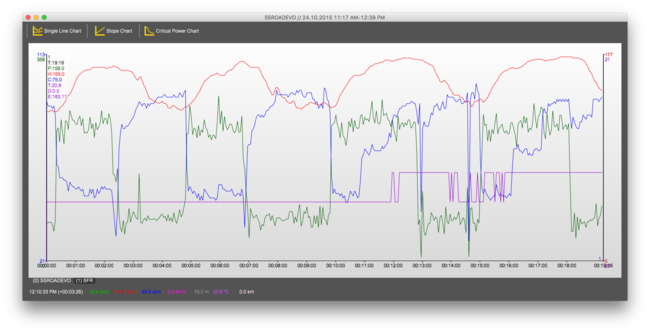 The third test, or RFR test, expands on the concept of the relationship between power and cadence. Athletes applied a constant power for 3 minutes, starting with a cadence of 50 rpm and increasing 20 rpm per minute. 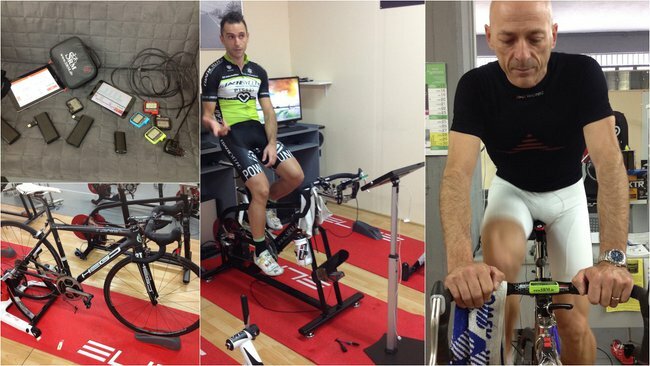 These steps were automatically controlled by the SRM IndoorTrainer Electronic. The objective of this test was to change the rhythm at a constant power by increasing cadence, resulting in a wide range of force application. The fourth test was an interval workout where athletes performed a block of 6 30/30 intervals--30 second “on” interval with power at maximum and 30 second “off” interval at recovery level. The specific benefit of this test is that the athlete performs a 6 minute effort with relatively high average power with a high range of output. The coach Costantino Bogani pointed out that this type of effort is very difficult to simulate using only heart-rate because heart-rate is already at 96-98% of maximum after the first minute and remains relatively constant throughout the test. Simone Stilli agreed, pointing to evidence in the graph that heart-rate is a “lagging” indicator, while power is immediate. A short but important cool-down phase followed, and allowed the athletes to recover from the tests. Athletes were debriefed and presented with the information gathered through the SRM eIT app and PowerControl. The ability to immediately analyze data and discuss with professionals is the perhaps the most beneficial aspect of this type of event. By understanding how to tailor workouts with specific goals, each athlete gained a greater knowledge of how to train with power and how to realize their full potential.